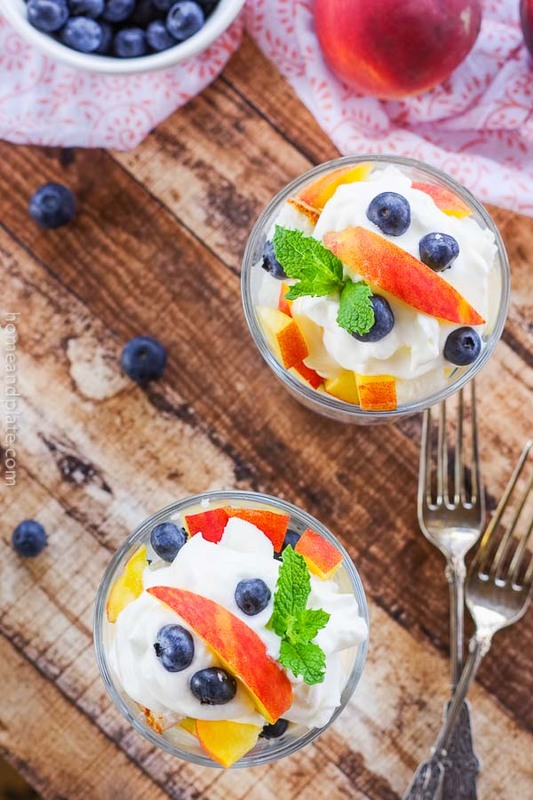 Layered with angel food cake and yogurt, this dessert is actually lower in calories and healthier than other trifles that use mascarpone or cream cheese. 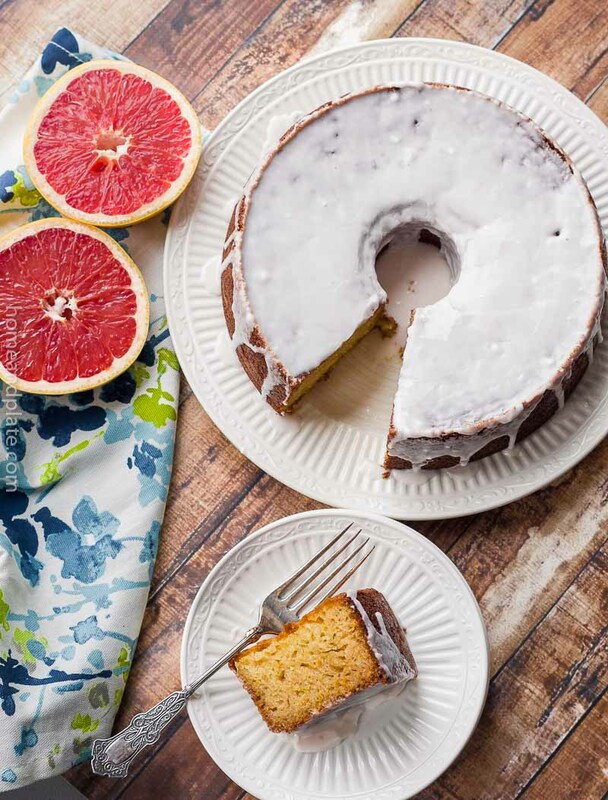 Angel food cake is lower in calories than poundcake. And the yogurt in this recipe is actually good for you. It’s full of probiotics which means it’s good for your gut. This guilt-free summer dessert that can be served up at any barbecue. Like my Red, White & Blue Trifles, you can prepare them individually or in one large desert dish. It also makes the best centerpiece presentation for Memorial day, Fourth of July and Labor Day. The peaches are so sweet this summer! I just can’t eat enough. Every time I sync my teeth into one I want to start singing. It was sung by the Presidents of the United States of America. I’m sure our current as well as former leaders would have approved of this summer dessert delight! Get them fresh from the farmer’s market. Peaches should be colorful and bright. The lighter in color the less sun they have received. Peaches should feel heavy in your hand. Store them at room temperature until they squeeze gently to the touch. Store them in the fridge and eat them before they start to wrinkle. 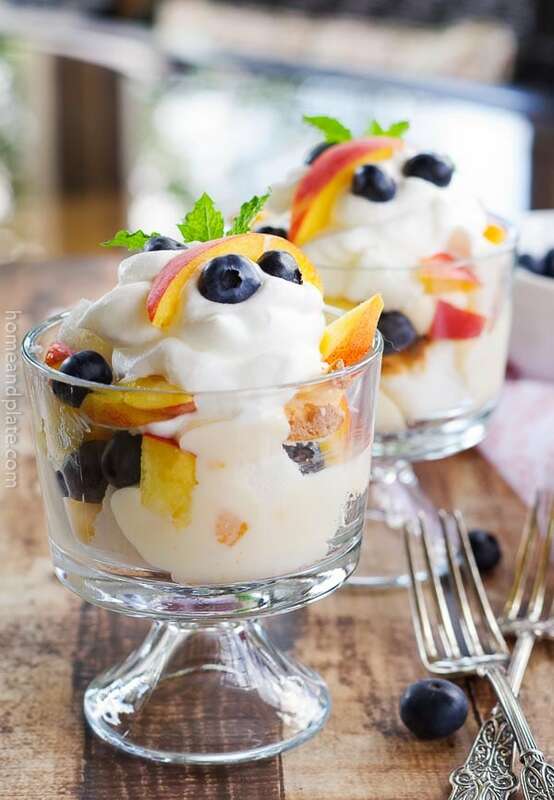 WANT TO TRY THESE PEACH & BLUEBERRY TRIFLES? 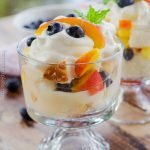 Layer individual or one large trifle dish with angel food cake, top with yogurt, peaches and blueberries. Create another layer adding a dollop of whipped cream before serving. 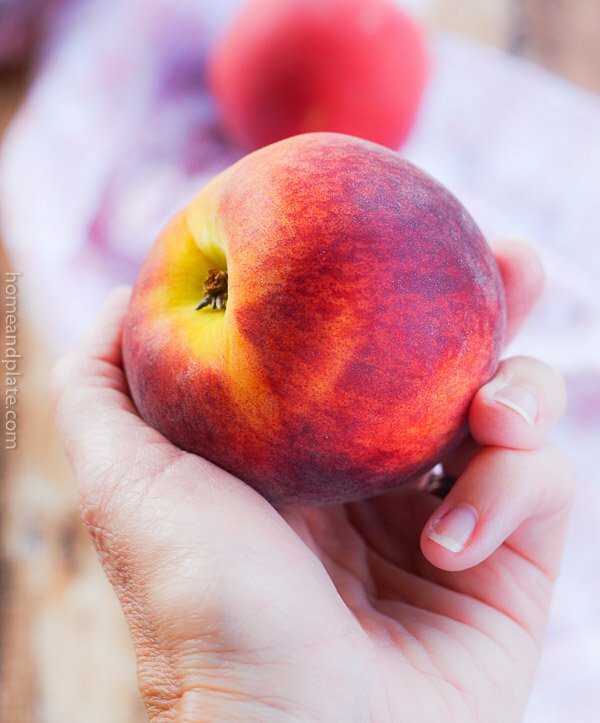 I love summer peaches, this recipe looks like the perfect use for them! 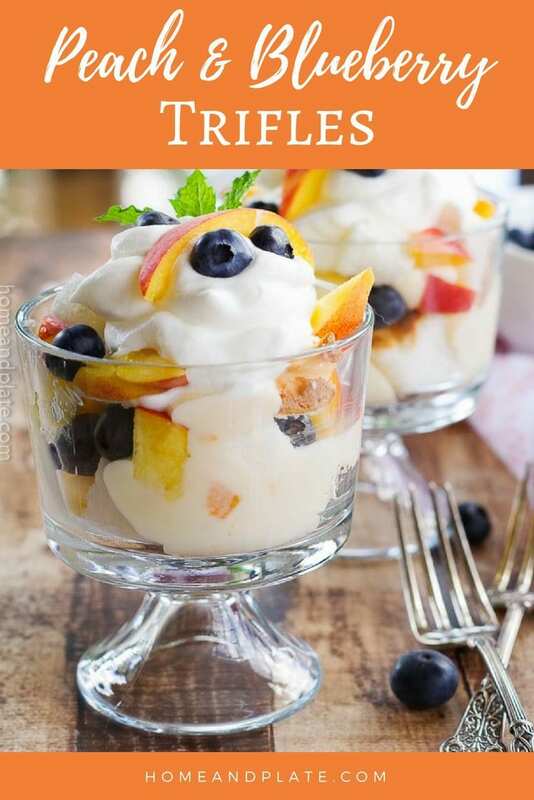 How cute are these individual trifles?! LOVE! Such a great combo with peach and blueberries. Like summer in a bowl! Thanks for your tips to pick the perfect peaches because I’m going to be making this lovely dessert soon! Amazing, delicious and easy – love that! This is a great no bake dessert. 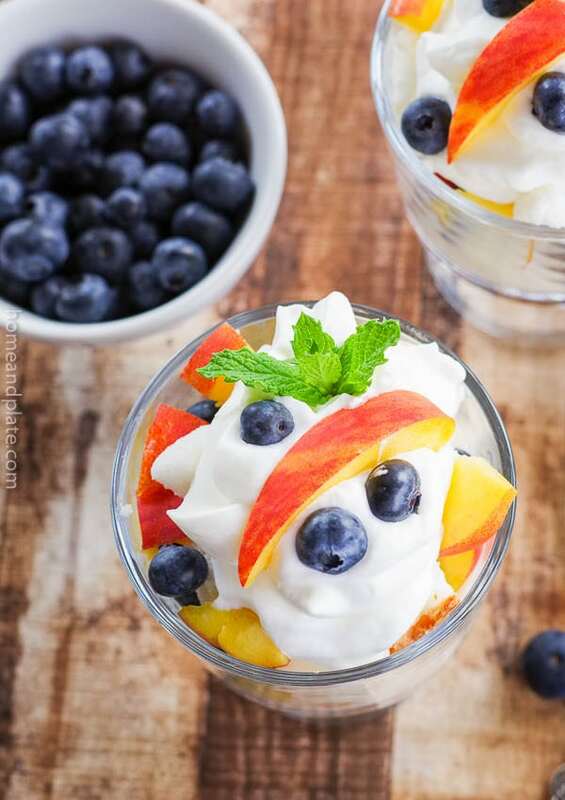 I love peaches and blueberries, so I want to dig right into it!